Every once in a while, the cover letter debate surfaces. According to my friends who hire, many job seekers don’t send a cover letter with their applications. And with most people using online job boards for applications, there isn't always an option to include a cover letter. But MOST hiring managers expect to see a cover letter. When I conducted a survey of 60 hiring managers and HR professionals in 2017 (Part 1, Part 2, and Part 3 here), I found that 81% of hiring managers said that a cover letter was an essential part of the application package. They make it about themselves, not the company or position. They use a generic cover letter template that reads like a boring form letter. Employers spend hours on their recruitment process, trying to attract the right candidate. By putting effort into your cover letter, you show respect for their time. And you make the reviewer’s job as easy as possible by including good information. When writing your cover letter, start by carefully reviewing the job posting. Then do some research on the company. Why do you want to work at THIS company? Employers want to know what draws you to this specific job at their company. You need to make them feel that they are your first choice. What are the 2-3 key skill areas that the employer is looking for? What specific skills, experience, or education do you have that would match what they require? Is there anything on my resume that might cause a red flag? If so, find a tactful way to address it in your cover letter. This is also your opportunity to share information that is not highly visible on your resume. What is your motivation? What excites or interests you the most about this position or company? Beyond getting a job, what drives you to apply? When completing your cover letter, here are some of my tried-and-tested tips to make sure that your future cover letter stands out. Use a proper business letter format including a header with your address and contact information, date, company address, salutation, and closing. Use the same formatting in your cover letter as your resume. You want it to look like a complete package. Keep your paragraphs short to improve readability. I suggest about three lines per paragraph. Use bullets to highlight your most important skills, experience, or training. You want to highlight your “best of” rather than trying to talk about everything. Share stories of success using a personable, professional tone. Show enthusiasm and interest. You want to show that not only can you do the job, you could do it best! People often tell me that I’m lucky as I run a business from home. But at times, I find it hard to maintain productivity – sometimes I would rather be at an office, away from my messy kitchen or the piles of laundry that our family produces. Early in my business start up, I made a commitment to myself that I’d treat my work-from-home job with as much professionalism as an office job. Each morning, I get up early and get dressed (no working in my pajamas) before heading down to my office. Now two years into my business, I've found some ways to streamline my workflow and improve my productivity. Here are some of my tips along some amazing nuggets of advice from a few other professionals and business owners. 1. Get Focused on Your Important Tasks: This is critical. 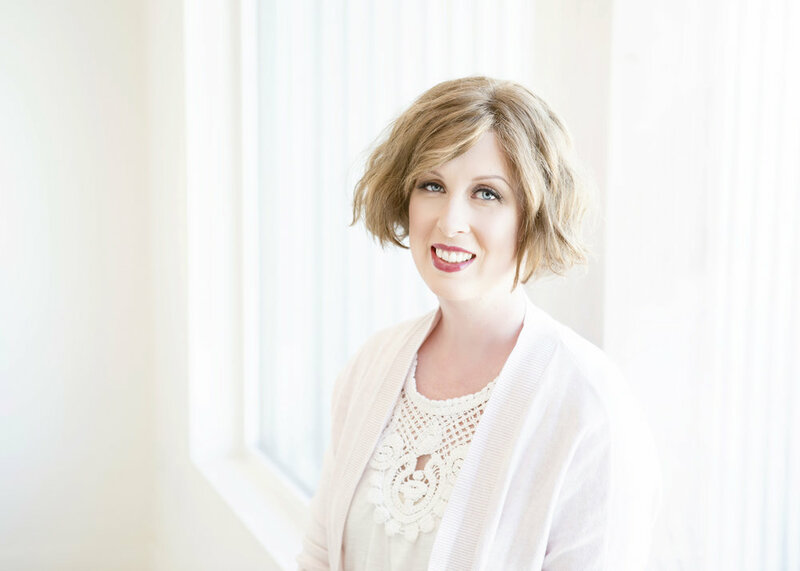 My friend, Cathy Kuzel from The Connected Woman puts together a clear schedule of business actions each day. It's easy to get caught up in "busy work," but not accomplish those big items that will help you move forward in your career or business. 2. Keep Your To-Do List Full: When I’m swamped, I hustle. Where I struggle is when things get slower. In times like that, I make a long “to-do” list of all the lower priority items that I had been meaning to get to. I need at least 15 things on my list to feel motivated. Maren Hanson, Regional HR Manager at Whole Foods, suggests using the Outlook Task section to keep organized. 3. Find an Accountability Partner: I work better under pressure. When I find myself procrastinating, I find an accountability partner, often someone in my field, with whom I can share my goals for the week. Usually, we’ll check in at the beginning and at the end of the week. 4. Use a KanBan Board: My husband introduced me to the idea of a KanBan board and I love it! Using a whiteboard, you write down your tasks on sticky notes. Then you set up your board with the following categories: To Do, In-Progress, and Done. As you start and complete tasks, you move the sticky notes across the board. I love the satisfaction of watching my Done section fill up with sticky notes! 5. Tidy Your Working Space: My work space gets chaotic, quickly. Sometimes, to improve my productivity, I need to take 10 minutes to organize and clean. It truly makes a difference in clearing my head. 6. Use Technology: Knowing that I only have a certain amount of time makes me more focused. I use the timer on my phone to get into a more focused work mode when I have a specific task to complete. Business Development Coach, Lisa van Reeuwyk suggests using the Focus Keeper or Pomodoro app. 7. Get Rid of Distractions: Turn off your social media while working and clean up your inbox. Recently, I unsubscribed to a variety of advertising emails. It wasn’t adding any value to my life and my head feels clearer without those distractions. 8. Use Outlook Signatures as Templates: My friend, Sharon Graham, shared this amazing tip which I use all the time. You can set up template emails in Outlook, using the signature feature. Now to populate an email, I simply click on the appropriate signature. If you have any other productivity tips that work for you, let me know in the comments. I advise clients on interview strategies, often with very positive outcomes. But talking about something and doing something yourself can be two very different things. So, what happens when a career coach finds themselves on the other side of the table? This past summer, a professional acquaintance of mine posted a part-time, contract career advising position up at a local university. Having heard about the progressive work this careers centre was doing, I decided to apply. As any good job seeker would do, I created a targeted resume and cover letter. I then messaged my contact on LinkedIn to let him know that I had applied. I didn’t hear anything for a while. Just at the point when I wasn’t sure that I was going to get a callback, I got one. Whoo hoo! My next task was interview preparation. I know that stress can mess with my mind and reactions during interviews, thus making preparation critical for me. 1. Question Brainstorming: I brainstormed as many interview questions as I could think of including this critical question. I knew this team valued theory and practice so I created some questions for that. I then wrote out responses for each answer. 2. Practice: I had to take my own advice – I advocate for clients to record themselves answering interview questions. So as awkward as it was, I video-recorded my responses. I then listened to my answers to ensure they were complete while also catching any annoying verbal habits (Apparently, I often start my answers with "So" or make this weird clicking sound) or poor ways of explaining information. 3. Research: I did as much research as I could about the department. I looked through the website and their blog. I reached out to current employees. 1. Logistics: I researched where to park ahead of time and I knew which building I had to go to. It took longer to get to the building than I expected so I was glad that I gave myself lots of extra time. My interviewers, Tony and Deanne, made me feel comfortable. They cracked a few jokes which broke the ice. As Tony and Deanne asked me the interview questions, I felt mostly prepared. But for two questions, I felt that I could have had stronger answers. One of the questions was related to what career theories and student development theories I use in my work. Initially, I panicked as I didn’t know anything about student development theory. But I took a deep breath and realized that I could focus on what I did know instead. I bit back my honest tendency to point out my deficiencies (can anyone else relate to that?) and instead spoke about all the career theory that I integrate into my work. Secondly, I was asked to share about a time that I facilitated a workshop. Launching into my explanation, I forgot to clearly wrap up my story with what the outcome or result was. Thankfully, Deanne was gracious enough to prompt me by asking a clarifying question. I prepared several of my own questions for the end of the interview, but only asked two. In previous interview settings, I had gone overboard with asking questions so I wanted to ensure that I got good information without over-burdening the interviewers. My goal for the interview was to provide great responses but to show up as my authentic self. I wanted to ensure that if I was offered the job, I would be a fit within the team. After the interview, I reflected on my responses, wishing that I had added this or not said that. But there was nothing so egregious that I felt that I needed to offer additional clarification. Within 24-hours, I sent a thank you email, outlining my enthusiasm for the work along with my references. Finally, I got the call, offering me the position! Working as a Career Educator for the past few months, I’m delighted with my decision to join this team. Best of luck with your next interview. To find out about my interview preparation coaching, click here. Did you know that 73% of employers will “Always” or “Often” check you out on social media after receiving your application? This is what I learned after conducting a survey of 60 hiring decision makers including recruiters, HR professionals, and business owners. Having a solid, professional LinkedIn profile can make you stand out as a strong candidate. But what makes a good LinkedIn profile? I recently talked to a few recruiters and HR professionals to get their tips and tricks for how you can maximize your LinkedIn presence. Write in a Friendly, Professional Tone. LinkedIn is moving from being proper and serious (“all business”) to being more friendly and personable. After all, it is a networking platform and networking is all about relationships. Maz from Aughdem Recruitment recommends that you write your profile and experience in the first-person. Share your motivations, story, and your why! Let your personality come out. People want to hire people they like. In interacting on LinkedIn, be approachable and helpful. Share information that will be useful to your network. You can share pictures or personal stories if they are relevant to your network. For me, the posts that have had the most engagement have been personal stories and pictures related to my career. Look to build connection by being friendly. If someone asks you to connect, accept and then send them a welcome message and try to get to know them better. Also, if you are sending connection requests, always customize your request. Make Your Profile Complete and Neat: There is a balance between too much and too little information on LinkedIn. You need to provide enough detail so that employers understand what you are capable of. Do not leave any sections blank. Less is more. Each section (Summary and Experience) on LinkedIn has a 2000-character limit. I advise my clients to aim for approximately 1000 characters per section. Vanessa, Talent Acquisition Specialist for Hemmera, stated that she looks for candidates to have an organized and tidy profile. This can be easily done by using icons as bullets and space between paragraphs. Use Keywords: To be found on LinkedIn, you need to know what keywords to integrate into your profile. Recruiters or hiring managers use LinkedIn like a search engine, often using keywords like job titles, technology, and location to source candidates. Look at job postings for your ideal position. Make a list of the keywords and then ensure they are sprinkled throughout your profile. It’s very important that you also have them in your headline. Your Skills and Endorsements section should be a thorough representation of what you want to be found for. Be sure to review this section to make certain it showcases your best skills and knowledge. Invest in a Good Profile Picture: The number one piece of advice that came from the recruiters and HR personnel I talked to? Have a good profile picture! LinkedIn is your professional web presence and a representation of your personal brand. You need to show up looking professional and friendly. Be Mindful of Your Actions: Every time that you take an action on LinkedIn, it is publicly broadcast to your connections. Make sure that anything you publish, comment on or even like, is professional. You can easily damage your reputation and dilute your brand message if you are not careful. And lastly, here’s a bonus tip from Lucas from TEKsystems. If a recruiter reaches out to you on LinkedIn, why not take a few minutes to chat with them, even if you aren’t looking for your next opportunity? Recruiters have a great sense of what is going on in the industry and if you can build up a relationship with them now, it could help you down the road when you are ready to make a career transition. If you want to do a better job of getting noticed on LinkedIn, consider getting help to elevate your profile. We offer LinkedIn profile writing and coaching on how to better use the platform. You need a professional email address for job search - that's a given. The email address that might have been cute or funny at one point is not appropriate for your resume. Think something like babygirl54@hotmail.com or legallyblonde_marcia@yahoo.com. Generally, the standard of a professional email includes some type of configuration of your first and last name. Let's say that you do have an appropriate professional email address. Here are a few other aspects of your email address that might be impacting how an employer perceives you. Email providers such as Hotmail and Yahoo email have the reputation of being out-dated. They were popular 15 years ago, but now Gmail has much more functionality and usability. If you are still using a Hotmail or Yahoo account, you may seem out-of-touch with technology. Also, internet service provider email addresses (e.g. Telus or Shaw emails) are not commonly used by younger generations. If you are sending out resumes, you need to include an email address that is your own. If your name as Karen Smith, but you send a resume with the email address, fredsmith@gmail.com, you may get screened out. The employer reviewing your resume may assume one of two things. First, they may think that you are not technically savvy enough to manage a basic email address. For most jobs, this is a huge red flag! Secondly, they may think that you do not have enough motivation to do your own job search. Even if someone is helping you with your job search, still use your own email address on your resume! Let's say that your email address is carrie_standford67@gmail.com. An employer might wonder if the 67 refers to 1967, the year you were born. If your email address does contain part of your birth year, you should consider changing it. Don't give employers any reason to discriminate against you based on your age. If you are looking for work, you need to check your email at least once a day. Even if you do not use email on a regular basis, it is a preferred method of communication in the business world. If an employer contacts you for an interview, you need to respond promptly. If an employer does not hear back from you within in 24 hours, they will most likely move onto other candidates. This is especially important if you created a separate email address for job search. It can be easy to forget to check this email address. And regularly check your junk mail folder as it is easy for emails from employers to land here. All the best with your job search! There is loads of advice out there on what makes a resume effective, but the best advice is from someone who has been successful in using their resume to find work! A few months ago, I did a resume consult with a highly educated and accomplished business professional who had recently immigrated to Canada. After arriving, she was quick to convert her CV into a resume format, condensing it from multiple pages to two pages. But when she started handing out two-page resumes, she also stopped getting phone calls for interviews. 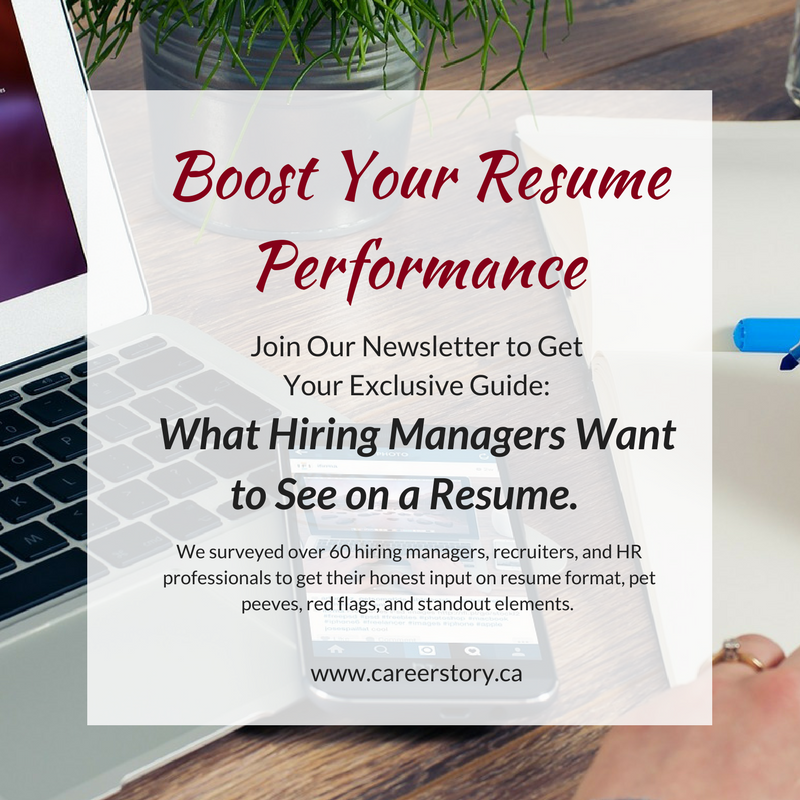 This prompted a move back to using a more comprehensive resume format with detailed information on previous work experience. Consequently, the interview calls started again and she was hired shortly after. She found that employers asked her specific questions about the past experience she had referenced in her resume. The other key to her success was providing evidence of her communication skills in her resume as this can be a concern for employers when hiring new immigrants. Here are four key takeaways for individuals who may be looking for their first job in Canada. Focus on providing proof of solid, quality work experience in your home country. If that takes three pages, that is fine as long as all information in the resume relates to the job posting. Put less emphasis on your education. Unless you are a new graduate, work experience is listed first and carries more weight with Canadian employers than education. Give evidence of your communication skills and abilities in your resume. Keep adjusting your resume until you start to get results! If your resume is not giving you the result that you want, it is time for a change! Consider investing in resume writing help to better spotlight and improve the way that you market yourself through your resume! Contact Kristin today for your free 15-minute consultation at 604-614-3155 or at Kristin@careerstory.ca. Does working with a recruiter benefit your job search? I admit, I’ve been skeptical in the past. Over the years, many of my clients have shared their disappointment in working with recruiters, often complaining that they did not hear back after an initial contact. When clients ask if it’s worth their time to work with recruiter, I’ve suggested that it could be a part of their job search, but should not be relied on as their primary job search method. Recently I’ve had a change of heart towards recruiters. My brother was transitioned successfully to a job through a recruiter. He wasn’t even looking for work at the time and has been very happy with his new placement. After attending a presentation by a boutique recruiting firm in Vancouver, I was even more convinced that working with a recruiter could be a worthy use of time. Cheryl Nakamoto from McNeill Nakamoto shared some insights on how job seekers can effectively use recruiters in their job search. Let your personality show. It’s not just about skills anymore. Companies also place value on making sure that the potential candidate would be a good cultural fit. Access the hidden job market. Get out and talk to people. Look to your community and professional networks/ associations. In particular, start to utilize your social media accounts such as LinkedIn, Twitter and Facebook as a way to generate connections. The more you are connected, the easier it will be for a recruiter to find you. Pay attention to social media. Recruiters use social media (especially LinkedIn) to source candidates, but they are also using it to do some background checks. It’s worthwhile to spend some time getting your LinkedIn profile to an all-star status. And in the meantime, make sure that your social media profiles are squeaky clean. Use a chronological resume. Within the resume, make sure that you list your most recent work experience first. If you do have gaps in your work history, find a way to account for that time so that it does not generate any red flags on behalf of the recruiter. Share your wage expectations. A recruiter can help you negotiate with the employer but they will not be able to help you if you don’t tell. The recruiter wants a good match between you and the company as that’s how they get paid so they want you to be happy, too. Honor the recruiter’s relationship with the employer. It is common courtesy to let the recruiter handle the communication with the potential employer. If you want to send a follow-up email or thank you card, check in with the recruiter to determine the most appropriate action. The recruiter often has long-standing relationships with the employers and can help you navigate the best way to build the relationship. To find a list of recruiter agencies in the Metro Vancouver, click here. By nature, I’m a cautious person with a tendency towards perfectionism, especially when it comes to my job search. When I’m looking for work, my preferred approach is not to start reach out unless I am 100% clear on my career target, have the perfect resume, have updated my LinkedIn profile, joined Twitter and have practiced my introduction speech. What can I say? I like to be prepared for anything! However, I am not convinced this is the best approach. I know that in my quest for perfection, I often end up stalling out and procrastinating on the important parts like networking. I start to use my list of job search actions as road blocks as I tell myself that I can’t really start my active job search unless I have completed all the tasks that I have laid out for myself. But this doesn’t often work out very well for me as I waste valuable time and might miss some opportunities. I’m not alone in this approach. Many of job seekers often exercise a conservative approach as well. But I believe that taking action is a key element in job search! There is a time and place to be prepared. However, it is important not to let the preparation overshadow the important of moving forward and exploring options along the way! Seizing the opportunity to connect with others in formal and informal settings, even in an activity that is not job search-related is actually one of the best ways to job search. One of my favorite career development theories is called happenstance learning theory, put forth by John Krumboltz. In his career development theory, Mr Krumboltz talks the impact of factors over which you have no control and actions that you initiate. He suggests that every situation has potential opportunities and encourages taking exploratory action to generate beneficial unplanned events or consequences. As the saying goes, “You don’t know unless you try.” When looking for work, I believe that you should be taking every opportunity to create your own luck. However, these events will not happen if you refuse to leave the house because your checklist isn’t complete! During the event, you remain alert and sensitive to recognize potential opportunities. One of my beliefs is that to be a good job seeker these days, you need to start thinking like an entrepreneur. An entrepreneur is creative and is always looking for opportunity to maximize their product or service. To be really good at job search, start to work on developing this mindset! After the event, you initiate actions that enable you to benefit from it. It’s all fine and good to have a great interaction, but if you don’t follow-up, the connection is dead. Make sure that you identify what the next step is and then implement! So there you have it. The job search paradox of action and preparation. When it’s all said and done, you need to trust yourself that you will be able to adapt to whatever unplanned situations that you find yourself up against. You might not handle it perfectly, but that’s OK. What matters is that you are getting out and doing something. And as you start to take action, you will start to find your momentum, I promise!